Named Cuscamecurragh on Bald's map of Co. Mayo (1830). This seems to represent the Ir. 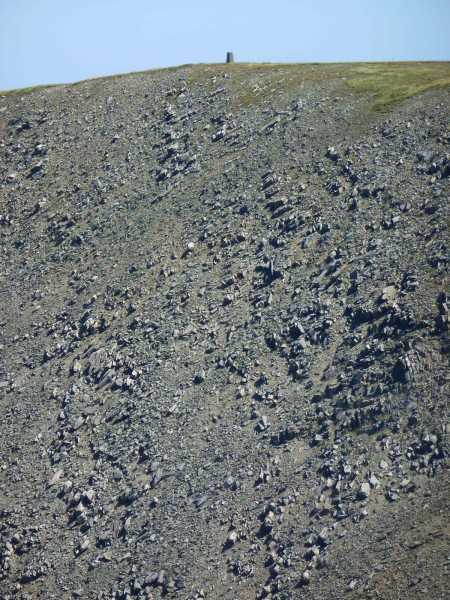 Coiscéim Charrach, 'rocky footstep', a name which is also found further north in Mayo in the Nephin Beg Range. Walks: for a route along the main E-W ridge of the Sheeffry Hills, see Whilde & Simms, New Irish Walk Guide - West and North, 62-63. Tievummera is the second highest mountain in the Sheeffry Hills area and the 68th highest in Ireland.